A premier claims network providing Switch, PPE, and ePrescribe services. RxLinc is a high speed, secure switch program owned and operated by working pharmacists. Our Switch & PPE (Pre & Post Edit) solutions are designed to save you time and money, further enabling you to maximize your workflow by utilizing advanced technologies. No long term, confusing contracts - we keep your business with our service levels and competitive pricing. Real-time claim adjudication and editing with comprehensive customer support. Pro-active claims monitoring and solutions for transmission errors and rejections. Cost-effective and efficient data capture services for participation in the data management programs of your choice. RxLinc’s Pre & Post Edit is an advanced, real-time editing solution proven to minimize claim submission errors and maximize reimbursement opportunities. AWP Update: Works to maximize revenue by updating claims to the most up-to-date (daily) AWP without requiring any action by the pharmacy. DAW Verification: Ensures the most appropriate DAW code is being submitted to mitigate audit risk as well as the potential for reduced reimbursement. Standard Dispense Quantity: Catches the common but costly errors of submitting incorrect quantities for inhalers, solutions, and other packaged medications. NDC Validation: Analyzes each claim to identify outdated NDCs and provides an updated replacement NDC where available. Auto Resub: Automated resubmission service designed to maximize third-party claim reimbursements by identifying claims that have been paid based upon outdated AWPs. 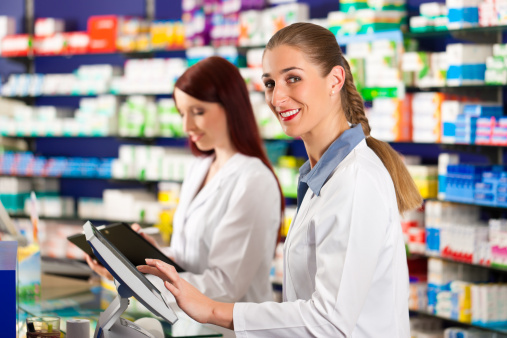 RxLinc connects with Surescripts and certified vendors to provide electronic prescriptions through your pharmacy system. This allows for easier-to-read prescriptions and faster processing time in the pharmacy.